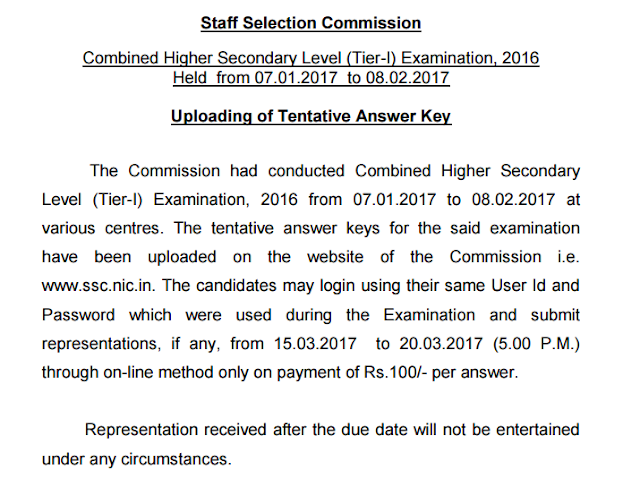 SSC has released the answer key of SSC CHSL 2016 Examination. You can check you attempts and the correct answer by submitting your login details. The link to the login page is provided below.